Los Angeles is known for its unique, out-of-the-box spaces. 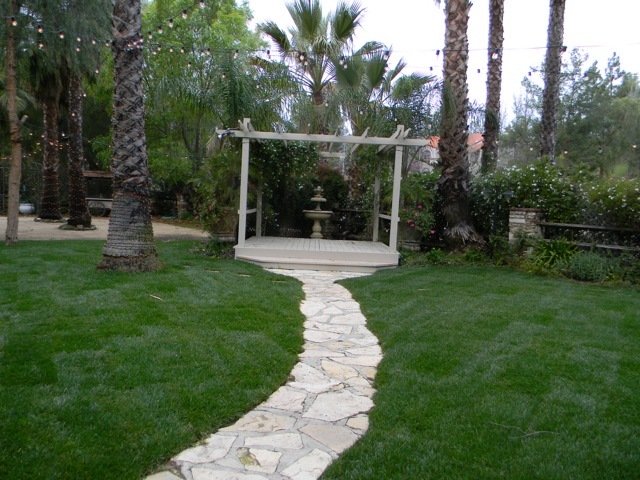 With these spaces come a whole lot of logistical conditions and moving parts, but boy, is the end result worth it. 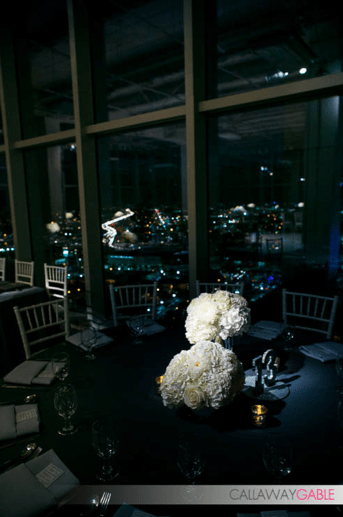 The AT&T center downtown has a fabulous space at the top of the building with an incredible view. Working in a high rise requires rock-solid logistics and special permits, but with proper planning the whole day went without a hitch. 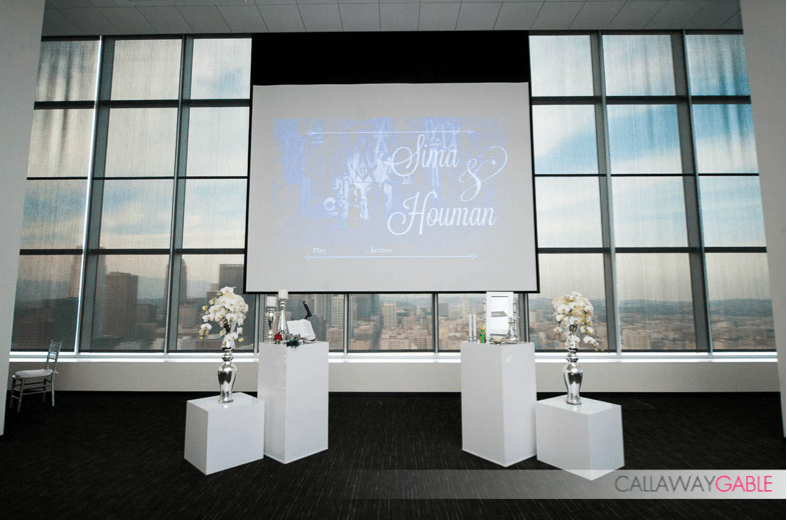 Sima and Houman wanted a fresh, modern wedding with glam touches and a welcoming feel. Together we crafted a design that included cool white, silver sequins, and dramatic lighting. 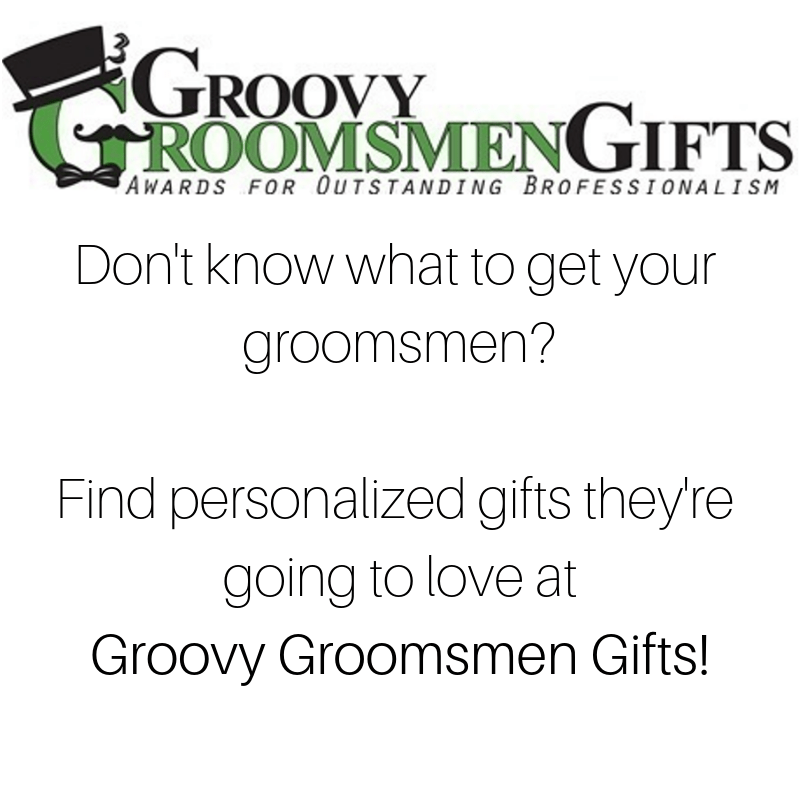 As their wedding consultant, I helped build a team of vendors to ensure their big day went off without a hitch. It was also another opportunity to work with the fantastic photography team of Callaway Gable. We’re so glad we were able to be a part of this amazing event! 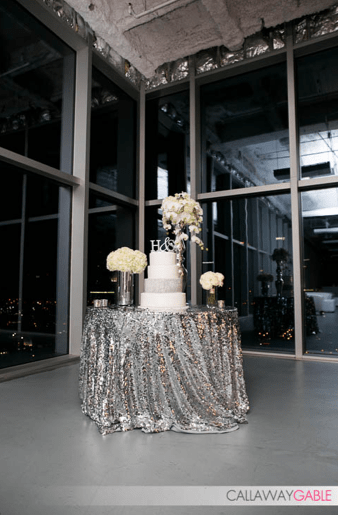 Gray, white, silver and glitter – all came together at the Penthouse space in the AT&T Center. Photo by Callaway Gable. 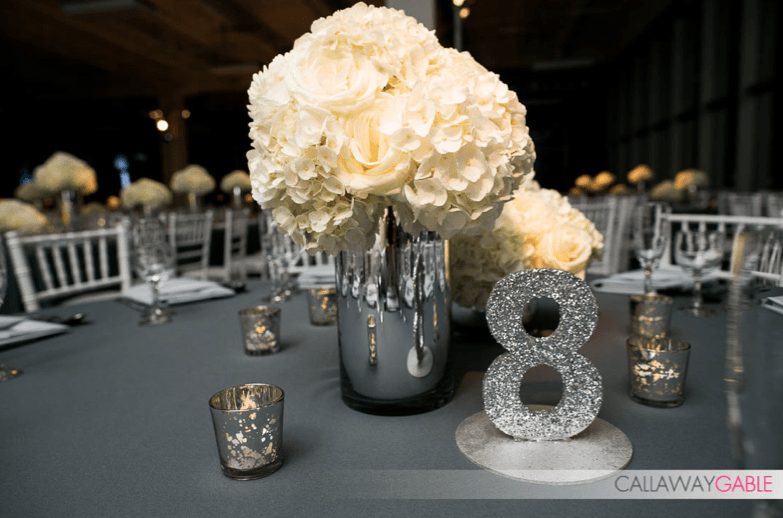 Hydrangea and roses in modern mirror cylinder vases, with glitter table numbers. Flower Duet florals. Photo by Callaway Gable. 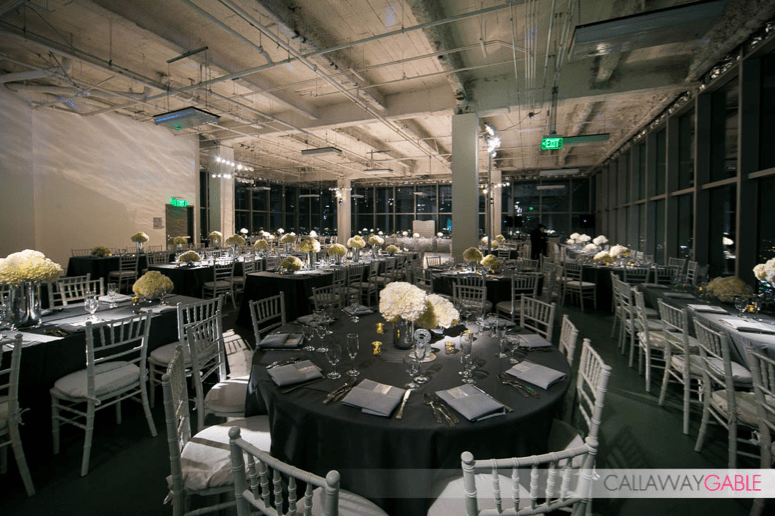 Flower Duet’s beautiful monochromatic centerpieces, pinspotted by TMMPro Lighting. Photo by Callaway Gable. Cakery Bakery’s glamorous cake, surrounded by Flower Duet’s florals. 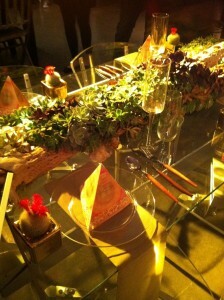 Closeup of Ceremony Orchid piece by Flower Duet. Photo by Callaway Gable. 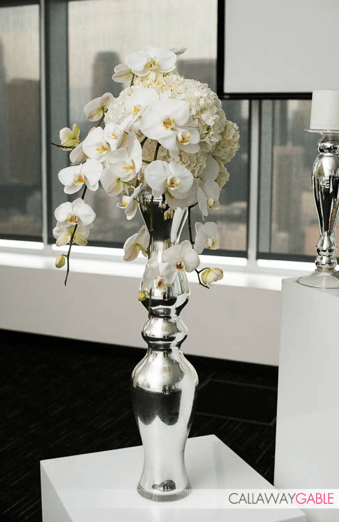 For the Zoroastrian ceremony, Flower Duet provided sleek, modern stands and elegant orchid centerpieces. Photo by Callaway Gable. Wow. It’s been ages since I blogged! As a mom / house cleaner/ cook / event professional / laundry-doer, honey, there just isn’t a lot of spare time. I love the whole mad rush of life, don’t get me wrong; it’s just, social media tends to drop down a bit on the ‘ol to do list, as much as I love going viral as often as possible. My routine is getting more and more Swiss-Watch-like as time goes on, and soon I plan to blog 2 – 3xs a week. Fingers crossed. And now. Palm Springs. Ladies and gentlemen, I love Palm Springs. I’m planning on making it one of my two destination wedding specialties (the other one being Paris – I’ll be there next month for a wedding). 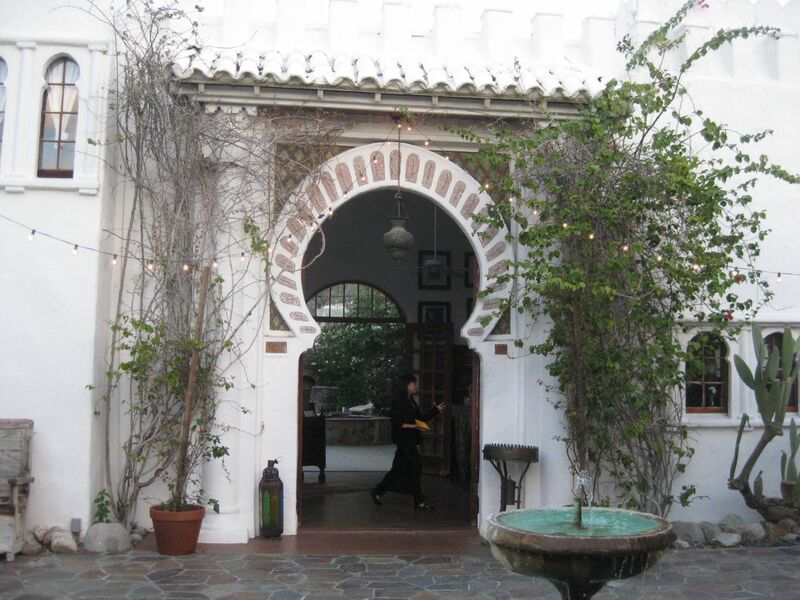 The tranquilizing heat, the festive nightlife, the stunning mid-century vibe and architecture…it calls to me. I’ve been there many times, and each time I hop on the 111, I get a little smile of anticipation. 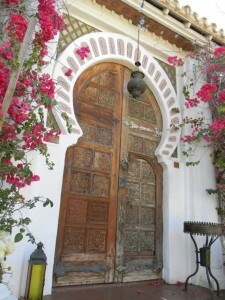 It was my good luck to meet a couple last year who wanted to wed at Korakia. They booked the space – a gorgeous getaway with both Moroccan and Mediterranean elements – and we were off and running. 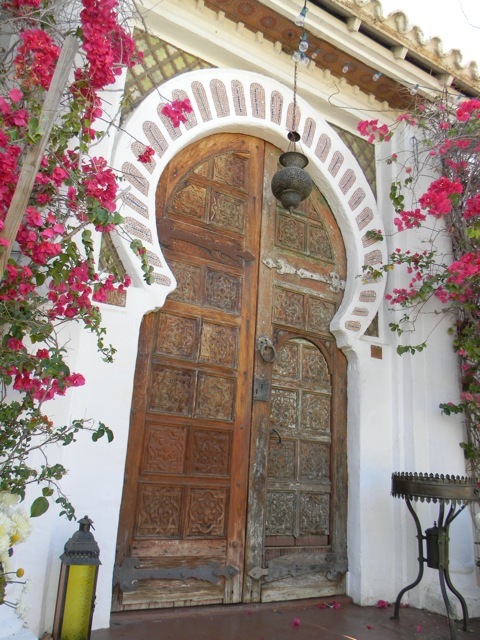 Korakia's signature: The front door in front of where couples stand to exchange vows. 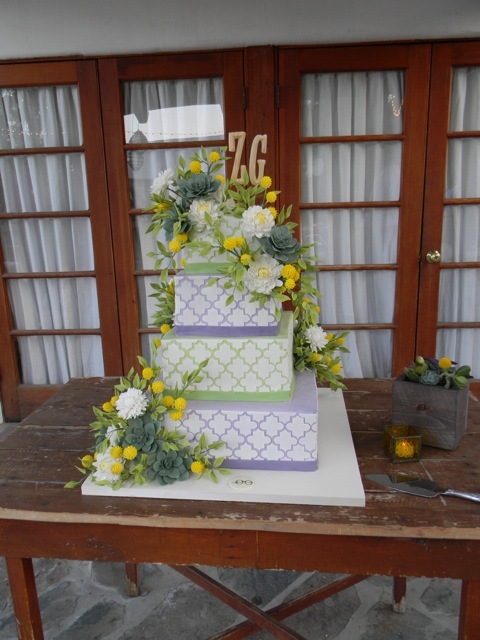 One of the planning elements, the cake, had an unusual spin: A dear family friend of the bride’s happens to be related to the great Sylvia Weinstock, and the cake was a gift. I was on call throughout the week leading up to the wedding, tracking the logistics of shipping and driving the cake out to the desert. 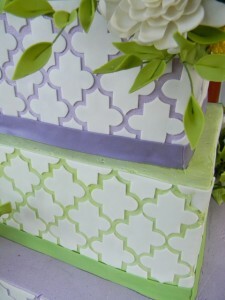 Continental and Action Messenger did the delicate work of getting the showstopping cake to Korakia, safe and sound. Nader and Donna from Red Lantern Photography were so hard working and easy going; they’ve recently moved to L.A. from Palm Springs, and I look forward to working with them in both cities. 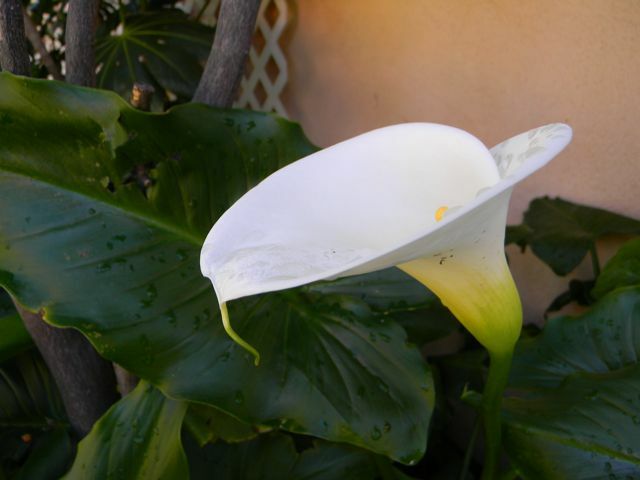 Soon their pics will be up too – can’t wait to see his pro images from the big day. Acqua Pazza is a popular restaurant in P.S., and they cooked up fresh, delicious Mediterannean-style fare; the staff were warm and friendly (and rustled up some cranberry juice when yours truly got, shall we say, a mild heatstroke and needed a little sugar before cocktail hour). DJ Chase Martinez kept the party going; Tom Laliberte and his team from Signature Party Rentals were so on top of it, so fun to work with, and Tom gave me some great inside scoop about the best of Palm Springs event venues and vendors. Lastly, my girl Mary Phelan assisted me from start to finish, and was amazing, as always. 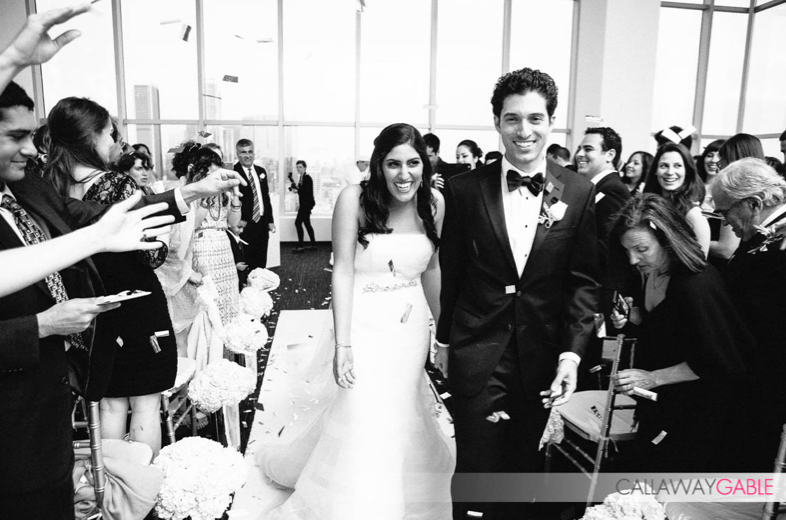 This wedding was so much about friends and family coming together, from the groom’s family friend creating all the flowers, to the maid of honor writing the table assignments, to so much more. When the sun set and the refreshing desert breeze set in, not only was the setting beautiful, but the atmosphere of love and generosity was palpable. I hope to have more weddings in the desert, and I’ll be lucky if they are with as sweet and fun a couple as this one. 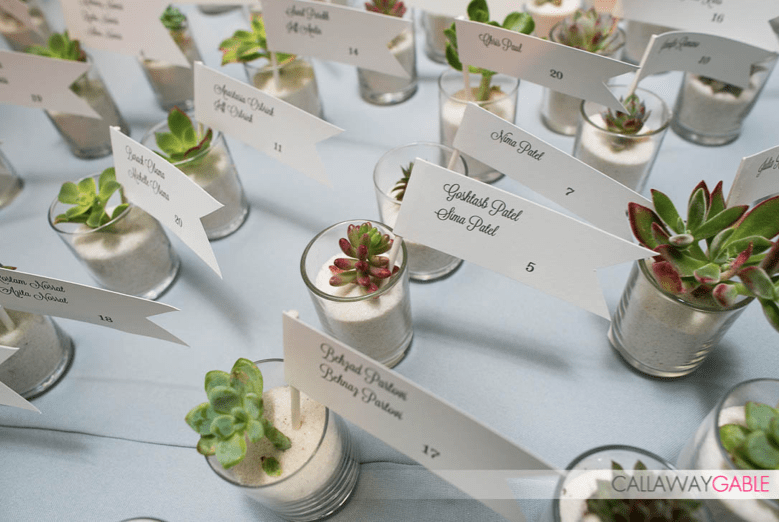 You can’t open a wedding mag or click on a bridal blog, without seeing quirky, cute, fresh and modern succulents. 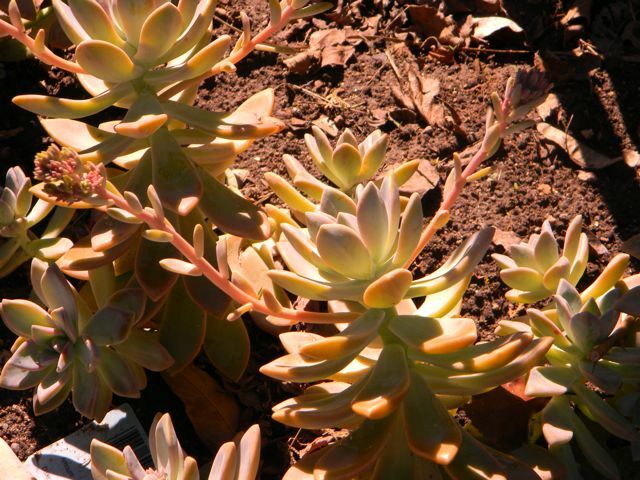 They come in all shapes and sizes – to the point of being mind boggling: There are even Flickr groups, forums, and websites devoted to succulent identification. 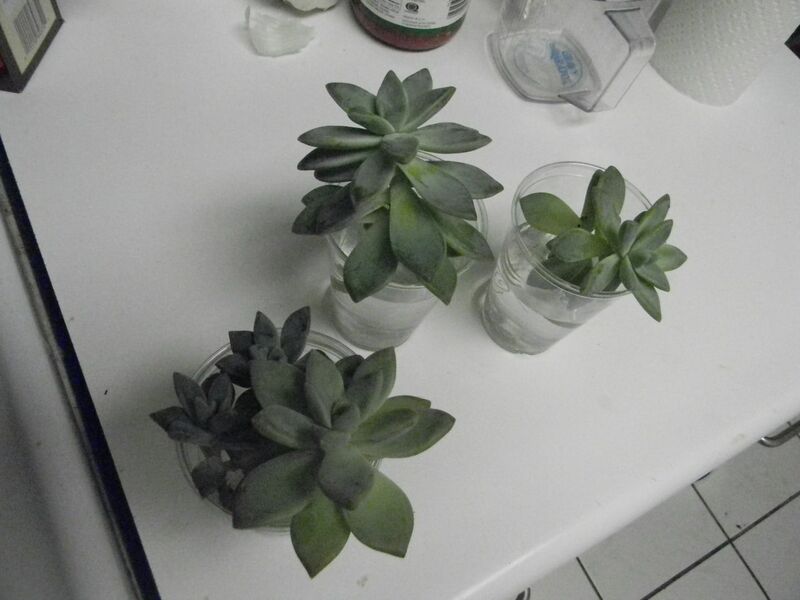 Succulents from my father in law's garden...set in water, they just keep growing! Whatever the type or species, they are here to stay – adding texture and style to bouquets, boutonnieres, and centerpieces. 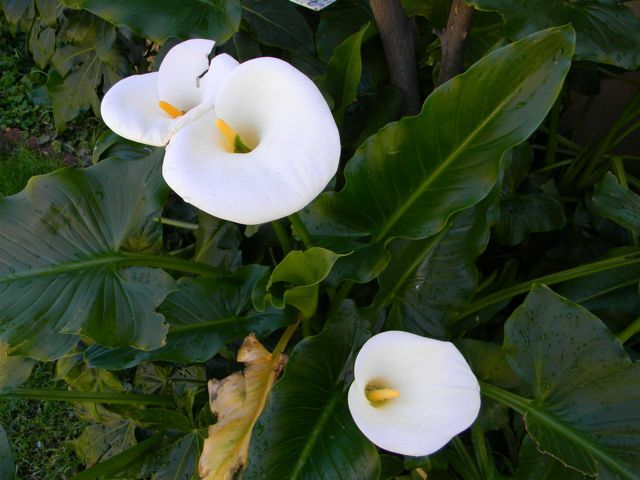 They need to be worked with differently than flowers- wired for bouquets and many centerpieces, and some are fragile and shed ‘fingers’ if you’re not careful. 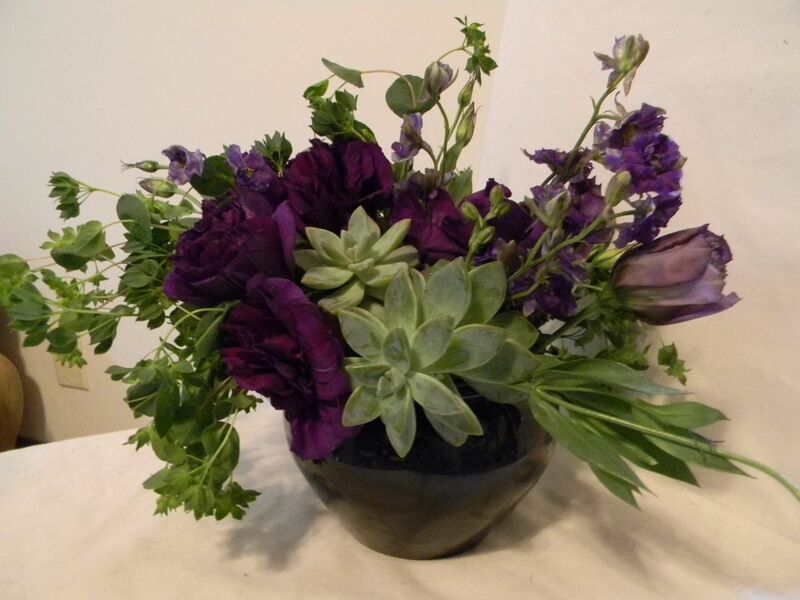 A client is researching succulents for her Palm Springs wedding; I combined Lisianthus and succulents together for an asymmetrical centerpiece. On the other hand, they’re super hardy and you can plant them when you bring your bouquet home! 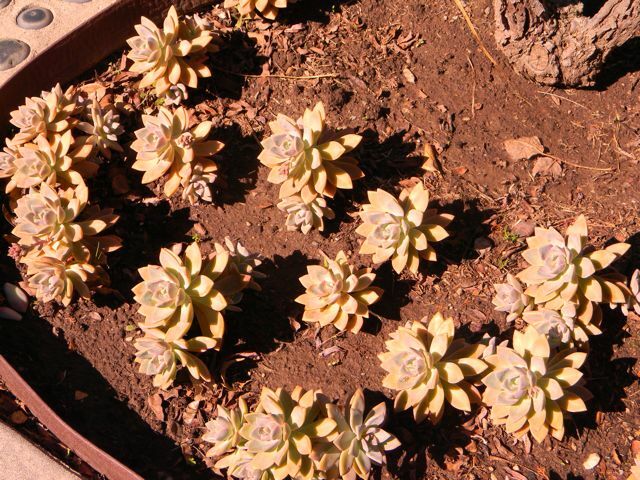 They are naturals in our Mediterranean-esque climate and are so drought-tolerant, even little ol’ me can grow them. 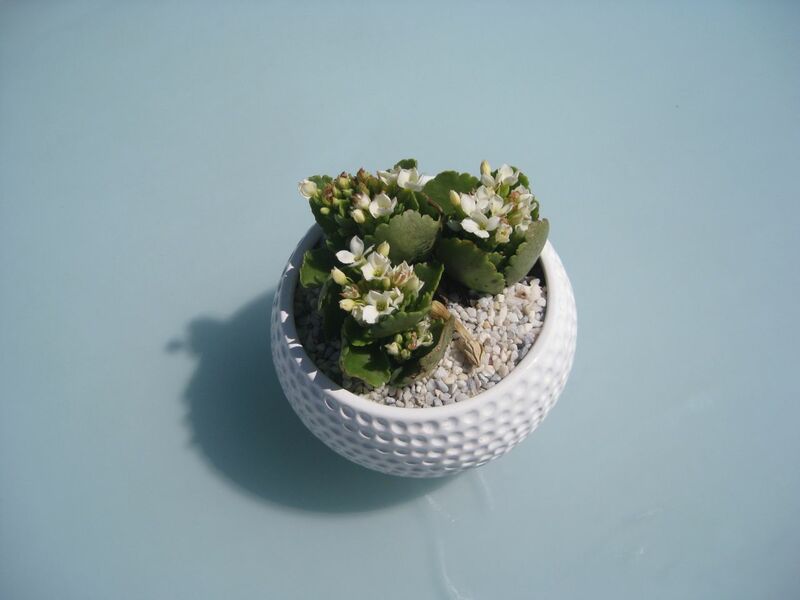 Sweet little succulent - with bridal-white blooms - at the London West Hollywood rooftop. 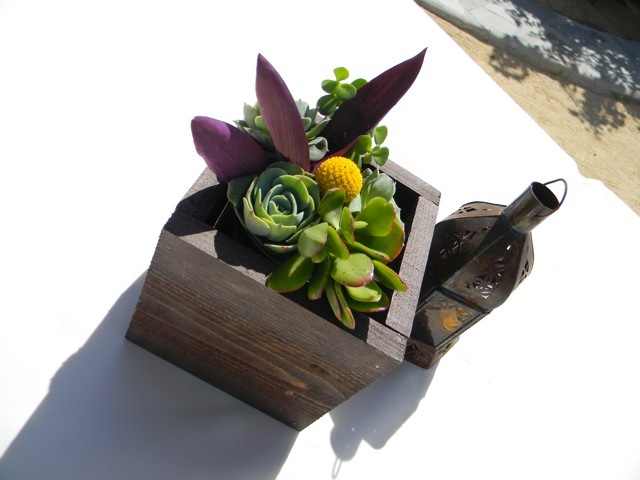 Some vendors who work well with succulents: Flower Duet, Gilly Flowers, and Tend. And drool-worthy photos and spectacular inspiration here, here, and here! Last night, coordinator/bride to be Dani and I headed to Palm Springs for the second bridal bash Hitched, this time in the desert (last year it was at Smog Shoppe). 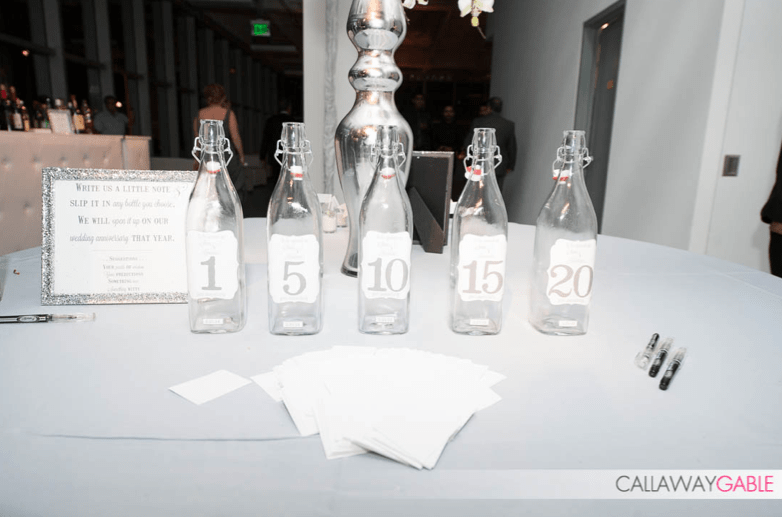 This is a very fun, hip showcase of the latest and greatest contemporary event professionals in SoCal. Along the way, we stopped at Korakia Pensione to take some scout pics for our upcoming P.S. wedding in May. 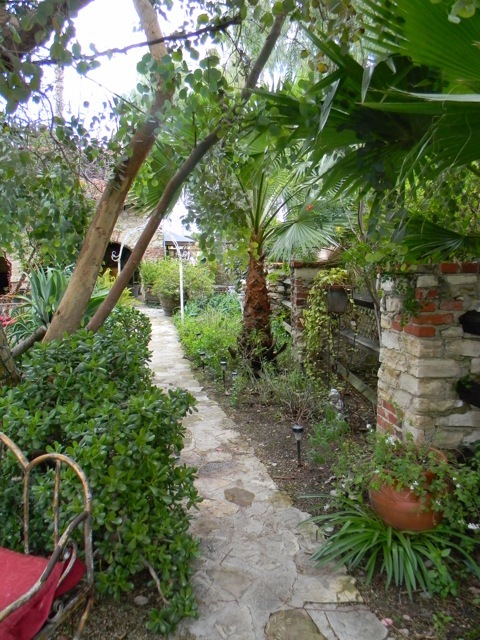 I was introduced to Korakia many moons ago by a friend who lives part time in P.S., and fell in love. I’m abosolutely thrilled to be working there this spring. The entrance to Korakia. 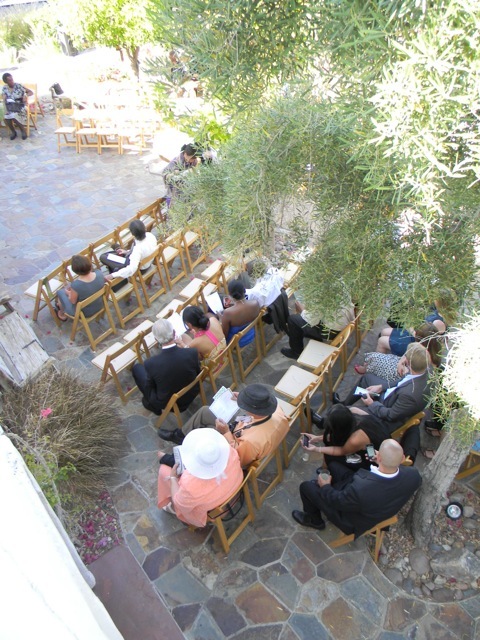 Doors close, and it becomes the ceremony setting. Then we headed to the Ace, another busy spot in Palm Springs with a hipster vibe that is as friendly as it is…well, hipster. (Sometimes the two don’t mix!). 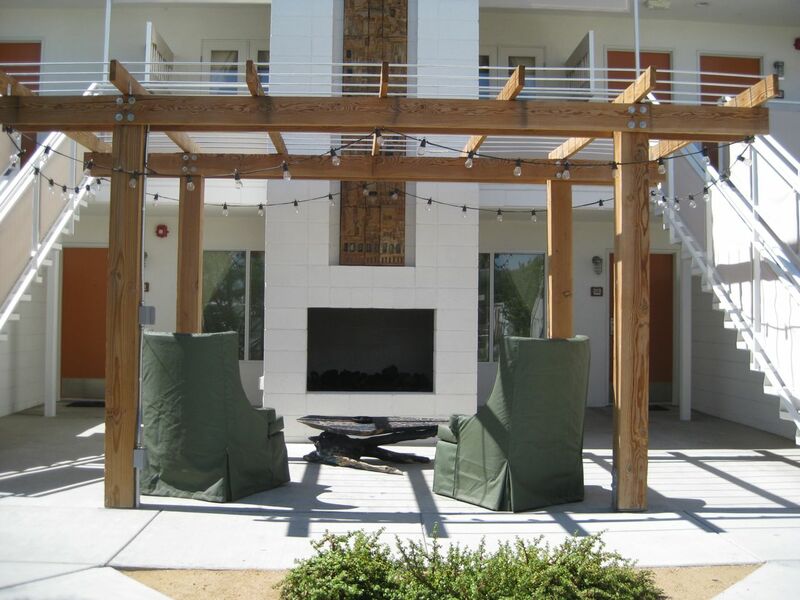 Hitched was at the Commune, the part-desert, part-industrial-esque event space in the center of the hotel complex. Lit fireplaces and twinkle lights set the mood for a crisp, festive evening. 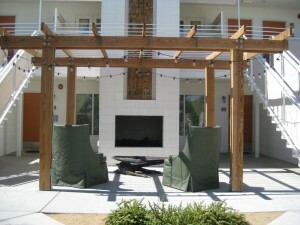 Cozy outdoor lounges are sprinkled throughout the Ace. Dani snapped up a hairpiece by Ban Do, a fantastical line of gems, poufs, and clips for hair, shoes, and dresses. Ban Do featured heavily in the fashion show, and I thought it was clever that their pieces helped individualize the simplest of dresses. 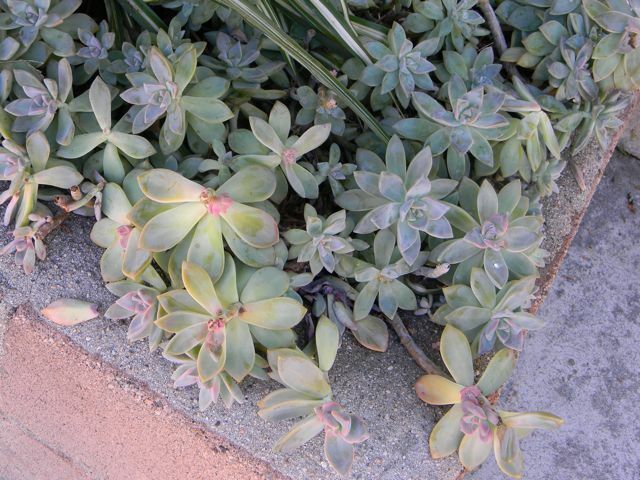 I love succulents (and a blog post about them is forthcoming), but a little weary of dry grass, sticks, cacti, and billy buttons festooned about for weddings – if not used wisely, they look like a bunch of detritus and/or weeds. 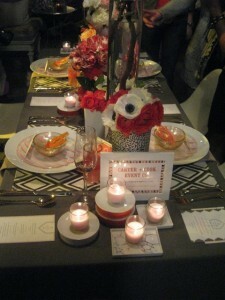 So it was lovely to see this table, full of color, whimsy, and romance by Carter and Cook. That said, there was some amazing stuff with cacti, like this table by Sugar and Fluff. 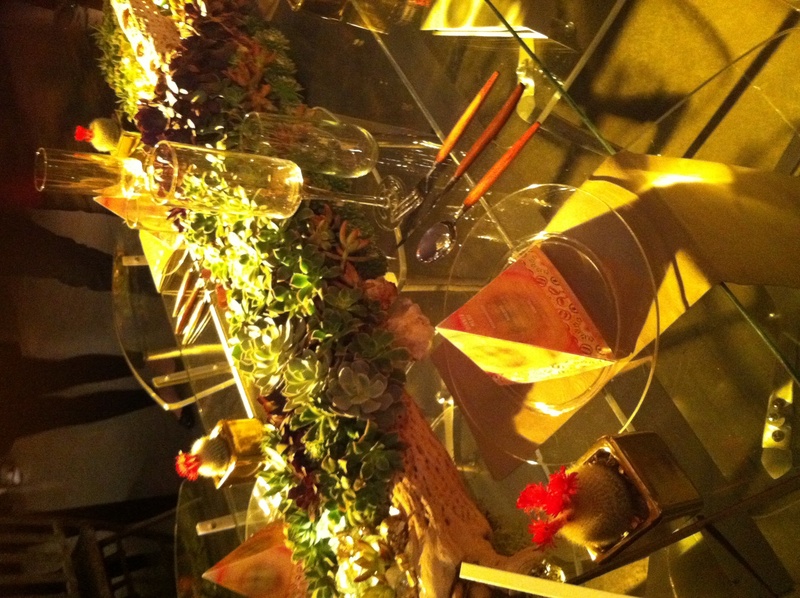 The succulent driftwood piece is amazing, and the wood-stemmed silverware works so well with this rustic/modern look. Setting these rustic elements ontop of a clear tabletop keeps the design organic and fresh. We drove home in some rain and wind, but made it back to L.A. safe and sound, gossiping about this-and-that while Dani poked through the gift bag. The fact that I get to go to these kinds of events for work and research? Gotta love it.